You are making me hungry!! These pictures are just too wonderful! And nothing really compares to berries that come right off the vine. I agree with YUM!!! That looks scrumptious!!! Lucky you!!! 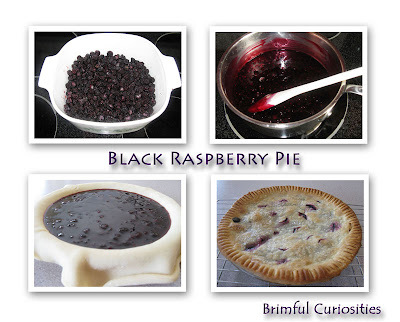 Thanks for the link to the recipe - now I can at least pretend that someday I'll make this pie myself! I love all berries.